11 L.O.B. Another one run loss. Yankees win 17th game in their last atbat. Another season lost. "Now batting for the Boston Red Sox, the shortstop, Nomar GARRH-see-a-pop-up"
Sounds like Grampy Little is Gone if the Sox Don't Go. Sox Won't Die On the Side of the Road. Nixon Leads the Turnaround, 12-5 Final. No strike date set. Revenue sharing and luxury tax amounts to be finalized this week. If there's a snag (and if this is just a cheap PR stunt), players will take it up again on Friday. MVP (Most Valuable Playerep) Tony is second from left. Best Baseball Name of All-Time (and the mad dasher who scored the winning run against the Red Sox in the 'held the ball' game 7 in '46, passed away at 86. Hermanson to replace Wakefield in rotation once Pawtucket rehab done? Or is Casey the one? Clifford to be ready tomorrow, but Johnny's knee has The Nation concerned. ...and it's one, two, three strikes they're out at the old Fehr game? Sox Still Won't Hit, But Win 3-1. Yankees Crush Choakland. Wake Up! Sox Only Four Games Back! Now that's someone to tip your cap to Grady. Sox 2 Twins 0. The defense rests again and it's lights out for late inning hitting. What in the world was Frank doing in there in the seventh inning of a tie game? Embree comes in for Texas blowouts, but not tie games? Lefties coming up and no Haney? 8.9 - Posts From Around the Web after latest one run loss: "Can anyone think of a good reason for Frank Castillo to have started this inning? Rivas can't hit lefties. Guzman can't. Koskie can't. Ortiz can't. There's two rested lefties in the #%&! pen... I think that 92 year old fossil that Tom Caron just interviewed could pitch better than Frank Castillo... After another dose of this passive, spectating managing, some Lou Piniella over-managing would be refreshing... Come on, for the love of Christ, if we lose another one run game I'm going to spray paint my neighbor's dog orange and beat it senseless with a frying pan... This one is Grady Little's fault. Castillo's blowup was easily predictable and there were much better options in the pen. The team's inability to get any runs off of lefthanders was easily correctable, but Grady Little doesn't have a #%&! clue... Wow, these other teams sure are rude! We bring in the 12th guy on the pitching staff to pitch a tie game in the seventh inning and the Twins bring in their top setup guys!! The nerve! They have obligations as guests just like Grady does to be a genial, obliging host, don't they?... The way Grady manages is the way you manage an "A" or AA team. Lots of support and understanding and wins or losses don't mean too much as long as your guys develop. So, you stretch players past their apparent limits to see if they can adjust, see if they can grow. That's all just fine, at AA. Not here. This guy is throwing away our shot at the playoffs... I would be very curious as to how Lucchino is reacting to all this. I suspect Grady should rent." Sox Need Twin Killings All Weekend Long. Casey's at the Mat. 8.9 - From JD at Your Turn: "One area that some of us have commented about over the past few days is the demeanor of the Red Sox players during their recent .500 streak. The sight of players laughing after an error by one of them in a crucial game against a wild-card opponent rubbed many of us the wrong way. Others have come out in defense of the players and stressed the importance of the team maintaining an even keel during tough times. I can’t say that I disagree with that thought, as I certainly don’t want to see our team pressing during this crucial stretch. I guess what I would like to see from the Red Sox players is an attitude of righteous indignation. The attitude of players who know that they are very good and will simply not stand to have lesser teams take away what rightfully should be theirs. In short, the kind of attitude that Pedro Martinez takes to the mound every start. Pedro looks like the most fun-loving guy in the dugout when he’s not starting, but when he’s on the mound, he is all business. The team could do worse than take their cue from him." "I felt I had to win this game." Seattle Makes An Offer. Will Jose Come Back to Haunt Us? Lowe will have his hands full with A's to Zito. Oakland is to Dye for. A's Get Extra Outs and Hold On for 3-2 Win. 8.6 - After Last Night's Game from Pumpsie: "Sorry, but a "winner" hits that ball a few inches further than Manny did for a three-run walk-off homer. "Close" only counts in horseshoes. In baseball, we have winners and losers and this team plays like a bunch of losers. This is a talented (7 all-stars plus Floyd), underperforming, disappointing, sleepy team which gives away way too many atbats, loses focus at critical times and doesn't seem too disturbed about it. And, yes, Grady Little and Tony Cloninger have a LOT to do with that. And not only did Damon, while positioning himself somewhere on the Mass Pike, break the wrong way twice on Hatteburg, he (Damon) laughed about it BOTH times with Nomar and Floyd. He laughed about it, as if this was a Sunday pickup softball game. And I thought to myself, "you know, I've NEVER seen a Yankee laugh at a goof he had just made and still be on the team the next day. And that's the right attitude, and that's why we always come up short to these #%&! Could you imagine Bernie Williams yucking it up with Jeter after screwing up a play like that (or waiting around for Terrence Long to congratulate him on his catch after the game!)? It would never happen. Those guys are serious as heart attacks. I wish our guys were as well. After watching Nomar lately, I have to admit I've come to understand those who say that Derek Jeter is a better ballplayer than Nomar and that they'd take Jeter over Nomar. Nomar is more talented, for sure. Nomar's a much more talented hitter than Jeter, and is a better defensive player than Jeter (Jeter's better on the basepaths but that just might be because Nomar's too precious to go sliding into second... (God forbid). But Jeter comes through again and again and again and again when it really matters... and Nomar doesn't. Jeter will battle in a key atbat as if his very life depended on it. And, more often than not, he'll get the job done.... somehow. Nomar goes up there (admitting he doesn't even know who the pitcher is until he gets in the ondeck circle) with his mind made up to swing at the first pitch and gives atbats away every game. Let's face it, Nomar's the anti-Ted Williams. And Nomar does not get himself dirty... for anybody. What is he made of, antique glass? He has good speed (probably better than Jeter's) but does he ever try to use it on the bases when the team really needs it? Too much trouble, it seems. This team lacks cojones and focus. Kind of like our "Hear no evil, see no evil, speak no evil" manager." Ho-hum, A's Bash Boston 9-1. Yankees lose too, so no ground lost, only passion. Bulging Disc in Back. No Surgery But Season, Red Sox Career, MLB Career Probably Over. Damon out with sore knee. Sox Must Take a Stand and Play A's-Game at Fenway. Clifford TheBigRedDog (Clifford is friendly and helpful. He's also as big as a house) Finds a Home. Oh well, there goes another $95,679.01. Only 51 games left Manny, plenty of time to rest and get ready for the bump to $18M next year. to improve to 24-28 in their last 52 games. Another Little Collapse ("I Don't Like the Way You Do It Late... Keep It Going in Another Direction"... shirts at printer now). Good News: One-run loss streak stopped as Sox lose by two! Mop Up Man Can't Stop 'Em. Cliff "I love John Henry... thank God I'm here" Floyd and Bobby "I'm ready every day" Howry speak. 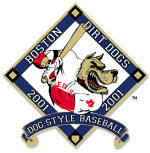 Derek and the Dirt Dogs Topple Texas. These Years) Bob Strikes Again! DUKE'S BAD BOYS ARE BACK! Truth be Told: Carl Everett Hits Two Home Runs and Seven RBI in the First Two Innings (Tell me again about that Oliver trade Duke?). Texas 19 Boston 7. Verbally Abuses Mike Port and Boston Writers. Blames Media for Problems in Boston. Angry because he wasn't left behind in California where he has a house, had to "fly to Texas." Break out your dancing shoes, but don't do the 'Mockerina' this time. Mike Port en route to Texas to release Jose Offerman. We Think, and Pray, That Larry Did the Right Thing and Spared Rickey and Lou, and Won't Do the Tony DL Band-aid Bailout. Gerry Callahan: (with move coming today) We know you like to break news here Larry, who gets sent down? Who gets released when Floyd and Howry show up in Texas? LL: (Ha, oh yes Callahan) I'm going to wait and let Mike Port do that. He's going to Texas, which would indicate that this isn't your garden variety move, he will communicate the motivation behind these moves (directly). Remember that in September we can bring more guys up. If someone did go down, that person could come up in September. But Mike has some more unusual approaches (to this roster situation today). GC: Would you not release someone with a large salary because of a possible strike (you'd be stuck paying the salary/contract during a strike)? LL: Yes... that would be a factor. But it's the depth of a team that matters in August, September, and October. How many times have we seen the big blows in pennant races struck by the 22nd, 23rd, and 24th guy on the team. So in this case, we're not worried about the luxury of that issue. I think that means taking on a slightly-enhanced financial risk. Pitching, Defense, and Sac Flies Get the Job Done. 2 Players and are Now #1 in Wildcard. "This was an indication that we want to bring Red Sox fans what we want to bring them this year." "When you're as close as you are here you have to take your artillery out and go for it." Larry was the Lightning, Montreal was the Tree. The Deal Dance was the Can-Can. Gordon Edes was the Man, man. RED SOX GET FLOYD FOR SEUNG SONG AND SUNNY KIM. "This is a player of sufficient caliber that even a team south of us (the New York Yankees) was trying to acquire,'' said general manager Mike Port.